The failure of a highly anticipated game shows the academic limits of virtual worlds. Academics are flocking to use virtual worlds and multiplayer games as ways to research everything from economics to epidemiology, and to turn these environments into educational tools. But one such highly anticipated effort–a multiplayer game about Shakespeare meant to teach people about the world of the bard while serving as a place for social-science experiments–is becoming its own tragedy. The game, called Arden, the World of Shakespeare, was a project out of Indiana University funded with a $250,000 MacArthur Foundation grant. Its creator, Edward Castronova, an associate professor of telecommunications at the university, wanted to use the world to test economic theories: by manipulating the rules of the game, he hoped to find insights into the way that money works in the real world. 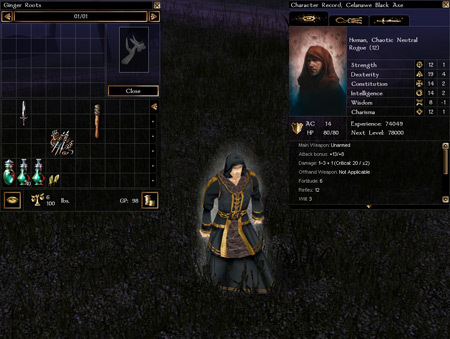 Players can enter the game and explore a town called Ilminster, where they encounter characters from Shakespeare, along with many plots and quotations. They can answer trivia questions to improve their characters and play card games with other players. Coming from Castronova, a pioneer in the field, the game was expected by many to show the power of virtual-world-based research. Castronova has abandoned active development of Arden; he released it last week to the public as is, rather than starting up the experiments he had planned. Part of the problem: it costs a lot to build a new multiplayer game. While his grant was large for the field of humanities, it was a drop in the bucket compared with the roughly $75 million that he says goes into developing something on the scale of the popular game World of Warcraft. “I was talking to people like it was going to be Shakespeare: World of Warcraft, but the money you need for that is so much more,” he says. Castronova also says that he was taking on too much by attempting to combine education and research. He believes that his experience should serve as a warning for other academics.